Times are changing – swiftly. In 2018, the Age of Instagram and Every Toddler with an iPad, innocence and naiveté burns off quickly. 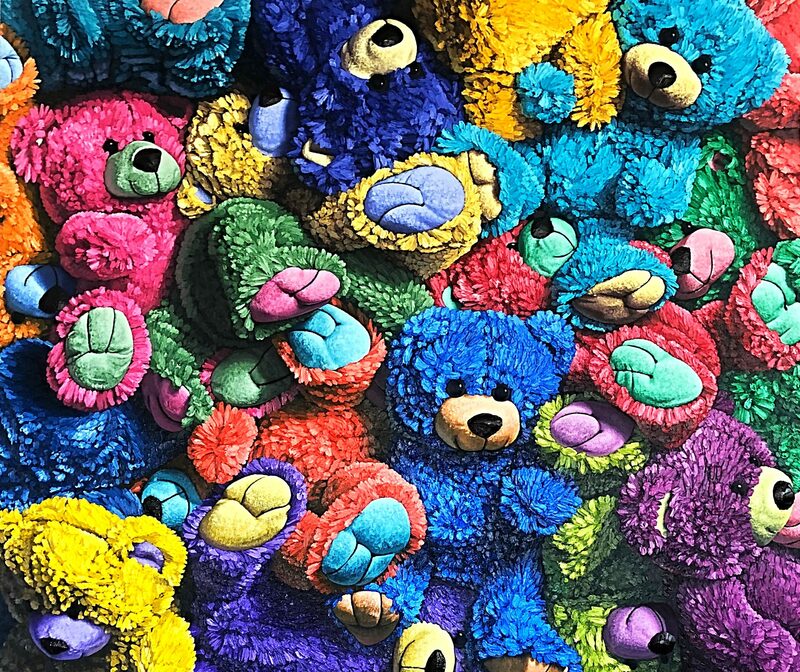 Still, as fast as technology is catapulting us into the future, certain constants remain: humanity’s need to create, our desire to own fragments of beauty for ourselves, and… a childhood affection for stuffed animals. “Even modern kids are still drawn to stuffed animals. 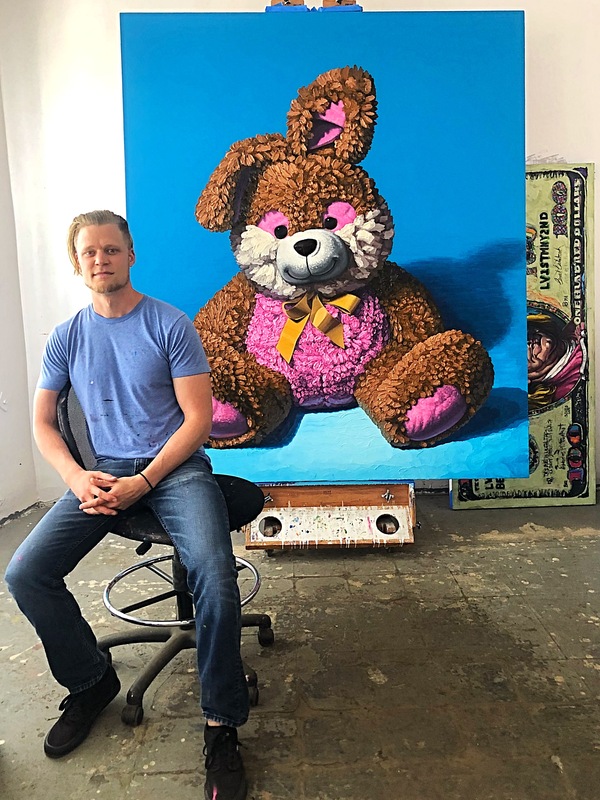 It’s still a cherished part of childhood,” says Brent Estabrook, the young man who has been making his mark on the art world with bright, eye-catching paintings of stuffed toys (and the occasional skull, a nod to a career path once directed toward dentistry that cemented the anatomy of a skull in his memory). 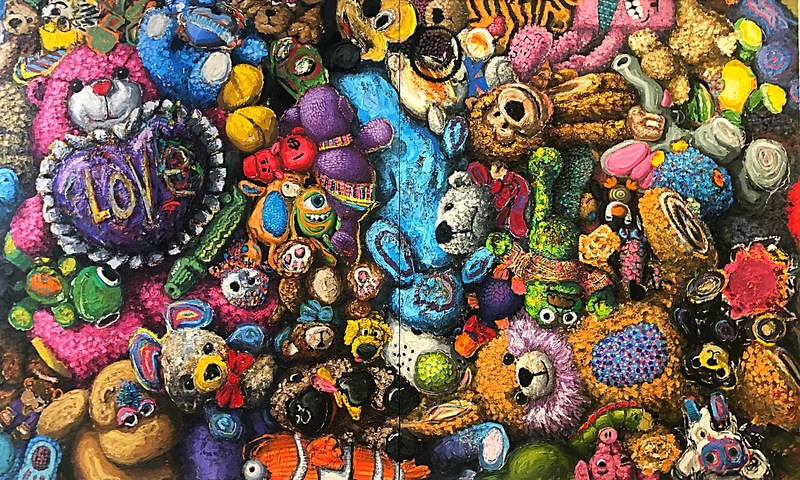 His delightful “Perpetual Recess” series stars plush animals and teddy bears, usually en masse, stuffed into the frame of the canvas and vying for the viewer’s attention, as if piled in a heap on the ground and begging to be played with by the child who loves them. 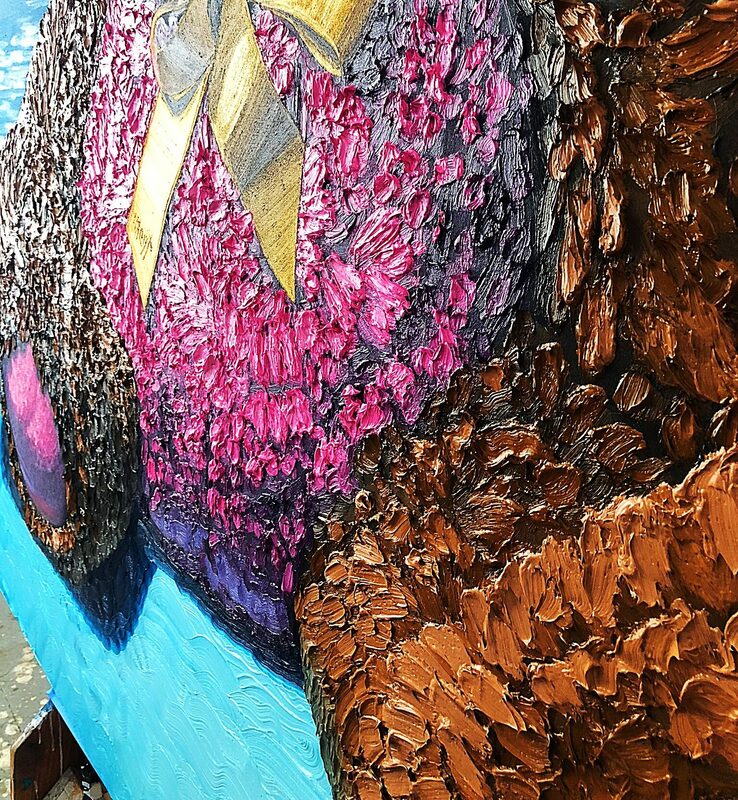 Estabrook’s handling of paint – thick impasto taking on the role of fur begging to be pet, or a more conservative amount of precisely applied paint to create the illusion of crushed velvet oft caressed – is impressively realistic, despite the paint’s distinct presence. 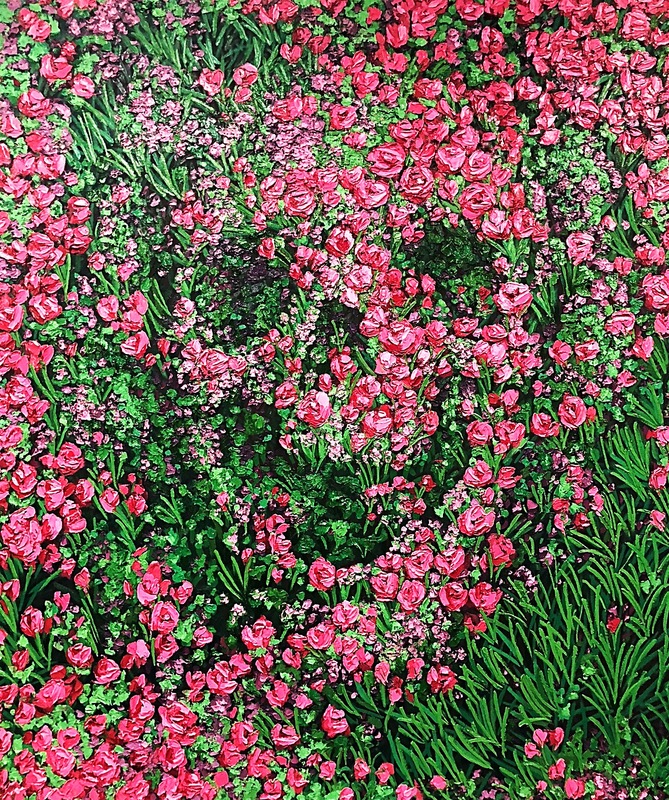 In a day and age when so many images are flattened by our computer and phone screens, the physical depth of his paintings make viewing his artwork in person a sensory experience impossible to be duplicated digitally. Still – Estabrook boasts a healthy 44 thousand followers on Instagram, thanks to the emotional collective consciousness triggered by his work and the childlike wonder it elicits (not to mention a savvy PR stint earlier this year “crashing” Frieze by setting up a studio in a SoHo storefront space with large windows that encouraged social media interaction). Children of the millennia who once clutched stuffed toys grew up to be adults with a vice-like grip on their smartphones, holding on to any semblance of comfort or connection once provided by a plush buddy through digital communities and meta realities. All photos by The Art Minion. Banner image courtesy Brent Estabrook.